There, where the sand is darkened by a shadow… that’s where it happened. Where what happened, you ask? You’ll find out soon enough. 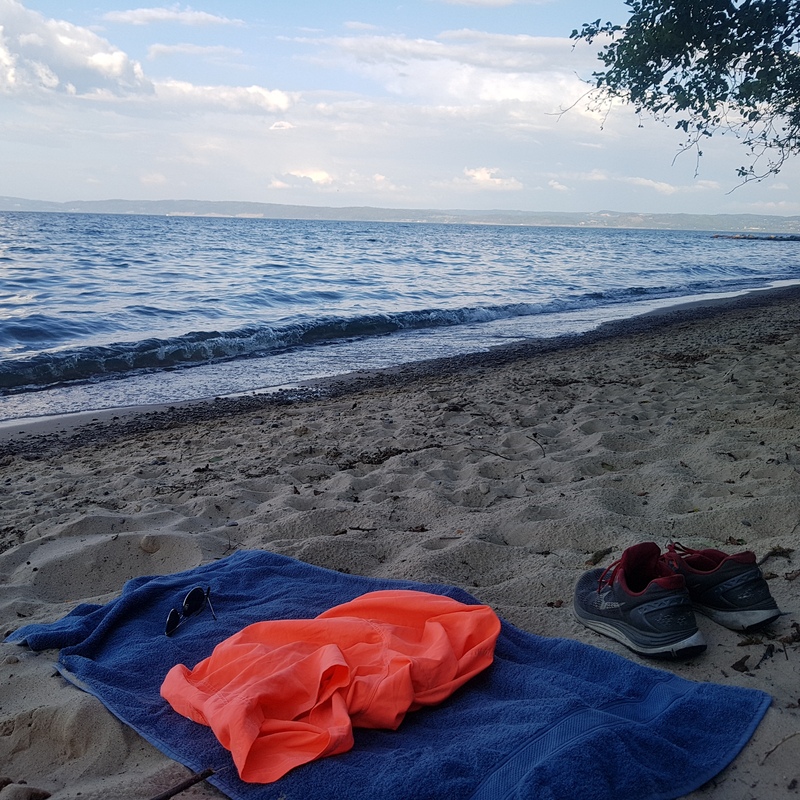 You, and no one else, because the occupant of those swimming trunks, the man that owned that towel and wore those shoes, is now gone without a trace. Gone where, you ask? You’ll see. And maybe… there’s something left of him. A small trace. I’m off to write. Everyone be good down there and keep it down (har-dee-har), and then perhaps, later tonight, I can post the story that goes with the above photo. There ought to be a song titled, “Ravenous Crouch.” This is where I empathize with the bird paralyzed as the snake approaches, the beachcomber immobile as the tsunami rises, the hiker dumbstruck as the forest fire spreads. As she lowered herself onto her haunches and revealed her appetites, I would stand and watch until the end. Someone should write a song titled “Ravenous Crouch”. I would, but I’m too busy writing songs with titles like “Giant Hugs & Tiny Kisses”, “Huge Sappy Love”, “I’m All Out Of Shrunk”, and such. Still, one of these days I’ll write about how that snake, that tsunami, that fire feel.